This isn't kid stuff! It's the fastest, flyingest, most unforgiving trio of events any biker could ask for. Start with a Half Pipe that takes you so high you won't know whether you're coming or going. Then do a Quarter Pipe that makes doing dozens of tricks easy and crashing even easier. Then try the Ramp Jump. It's the jump that's just a bit wider than the Grand Canyon. If there's a more dangerous challenge open to daredevil BMX bikers, we have yet to test it. 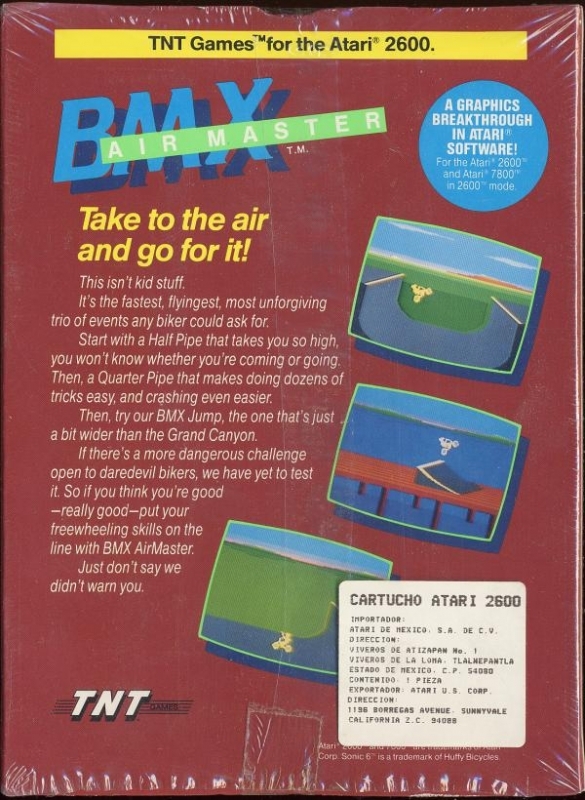 So, if you think you're good - really good - put your freewheeling skills on the line with BMX AirMaster!